My love of squash is well documented. 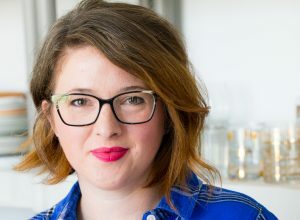 From fall minestrone soup to chocolate harvest pie, I try to squeeze squash into every meal of the day starting in September all the way through the winter. My family is slowly learning to deal with this obsession. 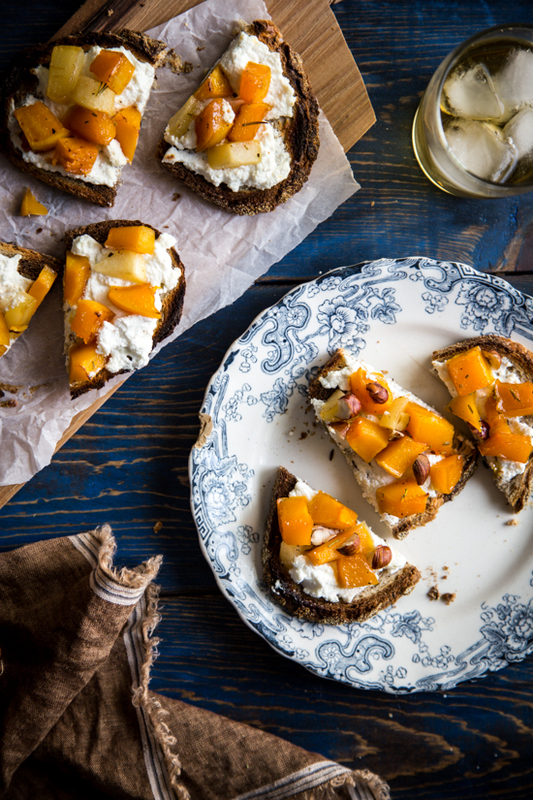 In order to keep them from getting too restless, I am continually trying to reinvent the squash and use it in new and unexpected ways, like these butternut squash tartines. During the last few weeks of our CSA, we began receiving the most beautiful butternut squash you’ve ever seen. It was sweet in flavor and a beautiful bright orange color. After having made my summer squash tartines a few months ago, I decided that making a winter squash version would be just as fantastic. First, I roasted some cubed butternut squash along with some pears and maple syrup for added sweetness. Can I tell you how much I love maple syrup on squash? I think it started with my warm kale salad recipe, but I feel like it’s a combination that I won’t soon get bored with. Anyway, back to the tartines! 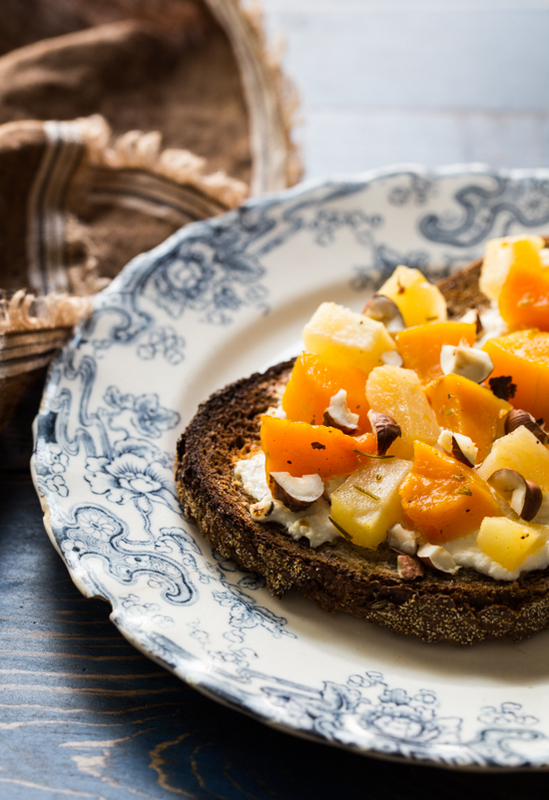 The roasted squash and pears get spooned on top of a bed of ricotta cheese, spread onto some crusty, toasted bread. 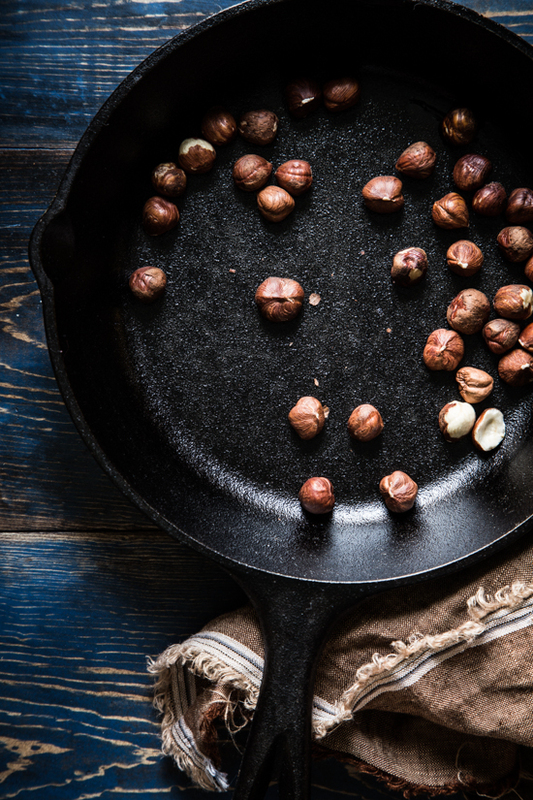 A sprinkle of toasted hazelnuts tops finishes up these simple and elegant appetizers. I’m sharing my complete tartine recipe over on Food Fanatic today! They are so easy and versatile! 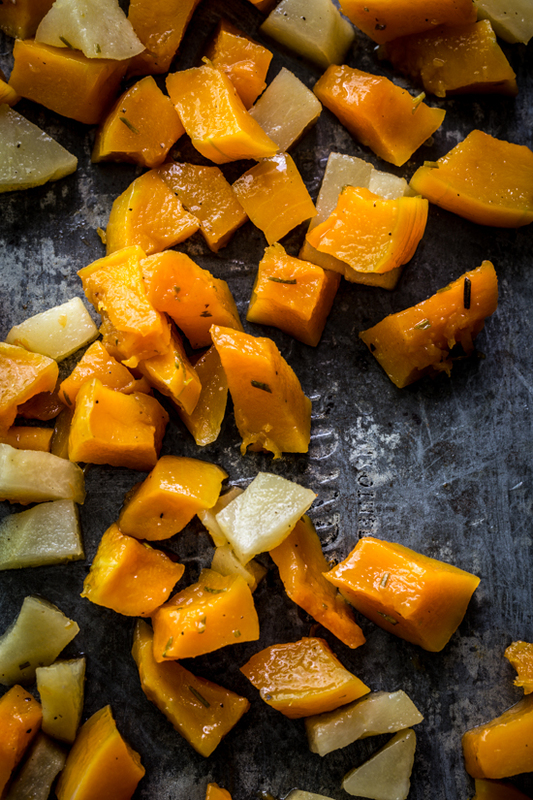 Pair the squash with your favorite soft cheese and herbs for your own flavor spin. I’ve already made these several ways (including a version with sage – yum!). You can’t go wrong. Plus, it’s fun to have a recipe that seems super fancy, but is actually a cinch to put together. Especially around the holidays, right? Such a flavor explosion. I’ll head over to check out the recipe now. Oh, and Pinned. Natch. Thanks so much, Heidi!! I’m so glad you stopped by! Love butternut squash but really, really hate cutting those buggers! I’ve started buying the precut, cubed ones at Whole Foods so I don’t have to do it. Awesome recipe! Oh, I know! I”m always afraid I’m going to lose a finger trying to break down butternut squash. Ugh. I should check out the pre cut options!